You may not be able to marry Harry, but now you can retweet him. Prince Harry sent out his first tweet on Thursday, rocking the Twitterverse with how close we're now able to come to actually speaking to the fourth in line to the throne. He may not have a Twitter of his own — yet — but everyone knows that Twitter is like a gateway drug to social media. It starts with a simple tweet and ends with a Facebook, Instagram, Vine, and Tumblr. 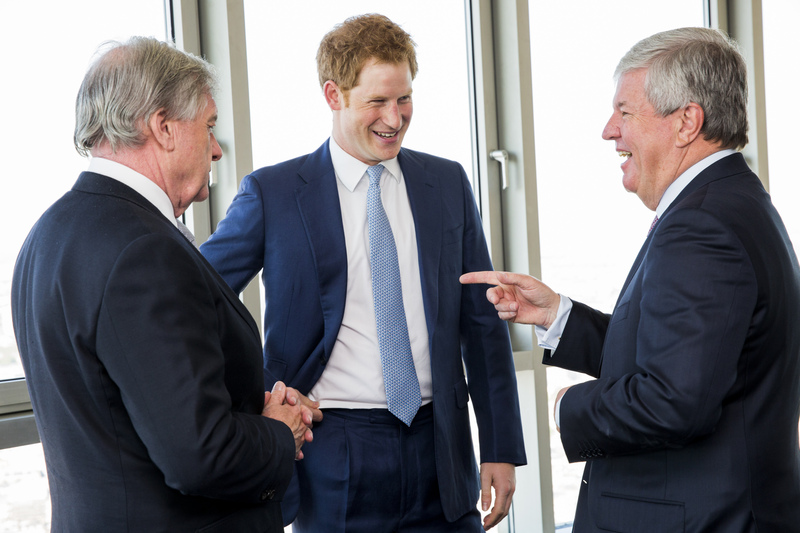 Prince Harry has no idea what he's gotten himself into. The prince sent the tweet out from an iPad at the Invictus Games in London's BT Tower, where Harry, as the president, was helping to promote the multi-sport event for wounded soldiers. Unlike Fox's upcoming reality show I Wanna Marry Harry , there are plenty of pictures confirming that it was indeed Prince Harry who sent out the tweet from the Invictus Games' official Twitter account. He didn't look entirely like he knew what he was doing, but it was definitely him. He might be a newbie, but his spelling and hashtag use were impeccable. If Harry does eventually decide to get his own Twitter account, at least he can rest assured that he's already gone through beginner's guide to joining Twitter — even if he did it in a way that makes him look like a grandparent discovering the Internet for the first time. "I don't get it. Is this even in English? Americans have finally butchered the language." "What do I say? What does 'trending' mean? Who is Justin Bieber?" "Ha ha ha, there's no way I can be more interesting than the Biebs. I'd better keep this official." "Did I spell anything wrong? Why is there no spell check on this thing? What does this button do?" "And... it's up. I think." "Look, I have Twittered a tweet on the Interwebs."